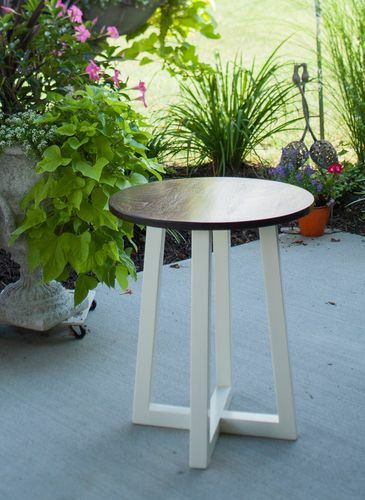 I wanted to make my parents a side table for their new house. The table they were using was too big and impeded the flow between the living room and kitchen. I started designing using AutoCAD, mostly to get a feel for proportions. 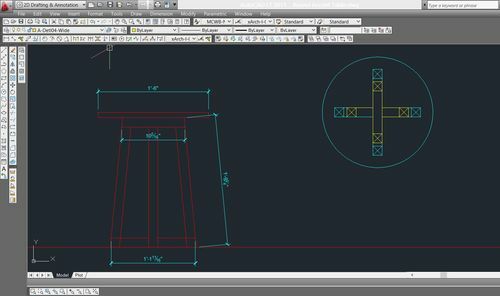 I do a lot of 2D architectural drafting for work, so when I design furniture I tend to stay with 2D drafting instead of 3D (like Sketchup) because that is what I am most comfortable with. 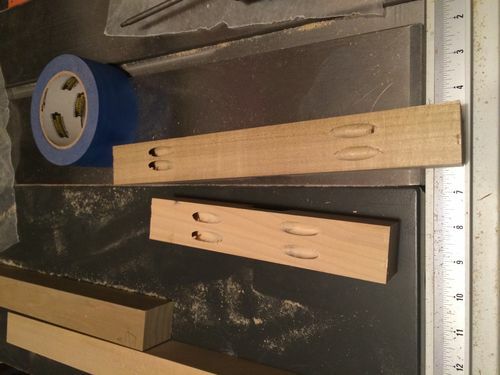 Then I cut the leg pieces using the table saw and drilled the pocket holes. I used Poplar 2×2’s from the big box store because I didn’t have a planer or jointer at the time, and I knew I wanted the base to be painted. 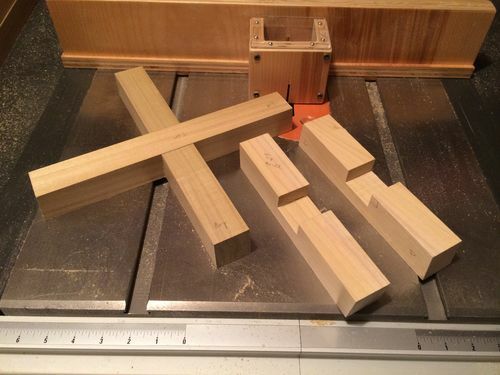 I used the table saw with my handmade sled to cut the half-laps. It took a few tries to get the pieces flush. I used three pieces of walnut glued up into a panel as the top. 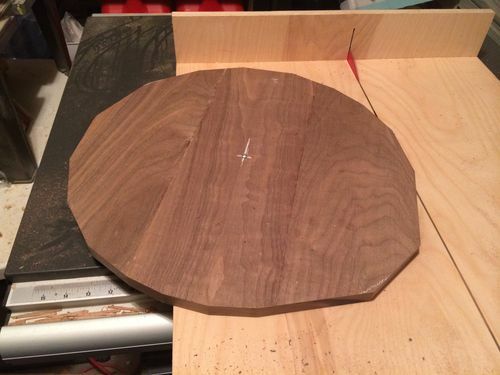 I used my panel cutting sled and after finding the center point and desired radius, I screwed the top to the sled and started to take the edges off. I kept turning the top until it was a circle. I then assembled the base using glue and pocket screws, and painted it using satin latex. For the top, I used Watco Danish Oil Finish in Dark Walnut. Walnut has a tendency to gray out/lighten as it ages, so I wanted to add a bit of stain to make sure it would retain its color. On top of that is a few coats of satin poly, and then the entire piece was hand-rubbed using Renaissance Wax. I’m very happy with how it turned out. Welcome to LJ. The table is beautiful. I also enjoyed seeing your photos at your website. My favorite page was “Places”. No, it was “Nature”. No, it was “Places”. Oh well, they were all nice. Nice Jennifer, I like the design and build. Welcome to LJs.